Anyway, the piece I posted an in-progress shot of (here) a few days ago is going to be in a show at the Hive Gallery in Los Angeles! 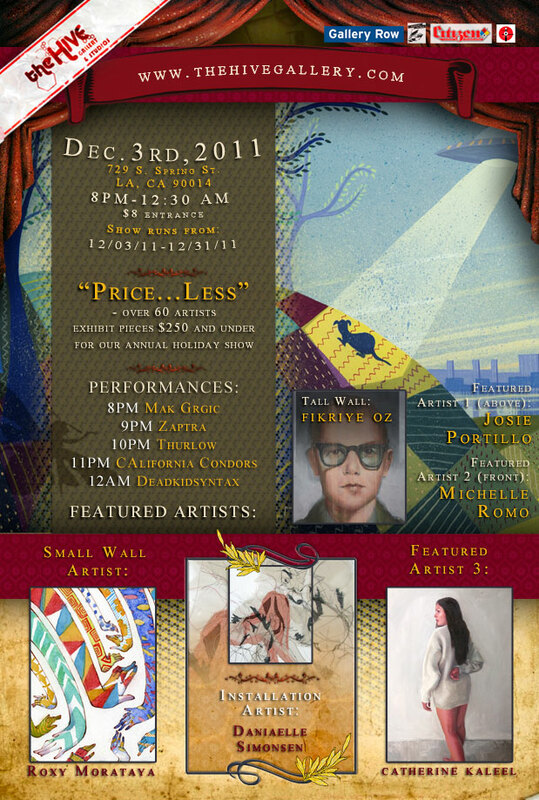 The show is titled “Price…less” because nearly all of the works featured are available to purchase for $250 or less. 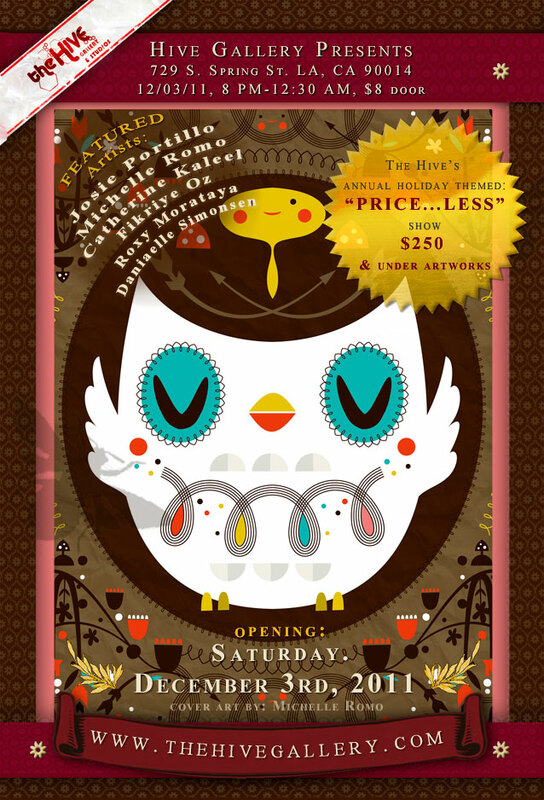 Which is a great idea, really, making art much more affordable around the holiday season. Here’s how my painting turned out, but the scan didn’t do justice to the richness of the colors. Birds featured: gold finch, pine grosebeak, zebra finch, Chinese phesant, long-billed corella, Mandarin duck, ibis, wood pigeon, scarlett rosella. I’d love it if some of you SoCal residents could make it out! If you do stop by, be sure to say hi- I’ll be the girl sitting in the corner, nursing a beer, making awkward conversation. This is beautiful Caitlin! I wish I could go to the show! Thanks Brynn! Your attention to detail is very inspiring, especially when I’m attempting to paint animals. The Red Valley looks amazing, btw! I can’t wait to see more. The final piece looks great. The show sounds like a really good idea. A little bit too far for me to get to though. I hope it goes well. Show looks interesting. Have fun!